"Confusion" is a common word used by breast imagers to describe the current state of deciding what modalities to use when screening women with dense breasts. There is an emerging sense of individuality in determining a course of action regarding dense breast tissue. Questions like, "How dense is dense?" and, "What is the patient willing to undergo?" make it difficult to establish one standard course of action. In this case, some bewilderment isn't necessarily seen as a bad thing. Some radiologists describe this uncertainty as a way to start dialog among imaging colleagues and with referring physicians and patients about what modalities beyond conventional mammography they should use to best screen women with dense breasts. "The confusion is getting people to discuss screening choices for each woman," says Emily F. Conant, MD, chief of the division of breast imaging at the Hospital of the University of Pennsylvania (HUP) in Philadelphia. "It prompts referring physicians to do a risk assessment of their patients. That's a good thing. Through conversation, you can determine patient preferences regarding a course of action. You can weigh the risks of a false negative mammogram against the possibilities of false positives with ultrasound and the cost of MRI." One immediate issue Conant sees as essential to address is that not enough is known yet about the stratification of dense breast tissue—the tissue isn't just dense or not; there are variables in texture. More information is needed about this to better understand what is the best course of action when it comes to screening beyond mammography. MRI has good sensitivity and does not expose the patient to ionizing radiation but involves intravenous contrast and higher cost. Ultrasound also has no radiation and is less expensive but is known for generating more false positives and biopsies. "The first thing to understand is we're not very good yet at determining what dense breast tissue is," Conant says. "Then, you need to answer the question, 'Is it just about density?' It's more than that. There are complex textures within dense breasts that both limit the ability to see things in a mammogram and also can cause false positives. We end up with more callbacks and biopsies in women with denser breasts." At HUP, Conant says they use digital breast tomosynthesis as a screening tool for all patients, rather than conventional mammography, finding it particularly helpful in women with dense breasts. "Studies have shown that outcomes with tomosynthesis are better than with 2D mammography," Conant says. "The impact in women with dense breasts is especially important." While tomosynthesis provides what she calls a "quasi-3D" view, it still lacks insight regarding the physiology of the breast. That's where MRI can provide greater insight as to what might be going on in the breast. However, Conant understands that MRI isn't right for all patients, particularly those who cannot undergo MRI scanning due to implanted devices, or can't tolerate the contrast injection. MRI is also a more costly exam. Some physicians turn to ultrasound as adjunct screening to mammography. At HUP, Conant says they will perform breast ultrasounds at the request of the patient, but it's not a course of action she recommends. "I have a concern about the high rate of false positives with ultrasound," Conant says. "We perform ultrasounds if the patient asks for it, but not many patients ask and we don't push them to get ultrasound." Another big issue involves finding a place for breast density in cancer risk models. Breast imagers at St. Luke's University Health Network in Bethlehem, Pennsylvania, provide clinicians with a dense breast screening algorithm to use as a guide with women who were notified of their dense breast status via the state's mandatory Breast Density Notification Act. According to Joseph P. Russo, MD, section chief of women's imaging at St. Luke's, the algorithm begins with risk assessment based on the Tyrer-Cuzick Lifetime Risk Model. Risk is categorized as average, intermediate, and high. Then the algorithm considers whether the patient's breasts are dense or not dense. From there, the algorithm takes into account the resources currently available in the St. Luke's system and which ones to use based on whether or not the woman has dense breasts. "Individualized screening is the present and the future of dense breast screening, because mammography may not be the only screening test for every woman, especially if you have dense breasts or a family history of breast cancer," Russo says. "Screening mammography remains a powerful, life-saving tool in the hands of experienced breast radiologists and at high-volume diagnostic centers. Beyond that, however, we will soon experience a revolution in the way women's breast health is achieved." He sees an end to the days when all women follow the same yearly mammogram regimen, a concept being adopted at St. Luke's. "Early on, we were trying to crowbar all women into the same treatment plan," Russo says. "Most breast imaging programs have hitched their cart to a single dense breast solution, be it 3D mammography, automated breast ultrasound [ABUS], MRI, or others. At St. Luke's, we are fortunate to have many options and are judiciously determining when to use them in the most effective and efficient way." Dense breast variables, the need for stratification of risk, and risk-assessment models are also on the radar of Elizabeth Morris, MD, chief of the breast imaging service at Memorial Sloan Kettering Cancer Center in New York. She says that dense breast tissue can be broken down by texture, making it even more difficult to determine where an individual woman falls in the risk scale and what course of screening would work best for her particular physiology. "Not all dense breast tissue is the same," Morris says. "Some dense breasts have more propensities for breast cancer than others, or can hide breast cancers differently. There's a line of research that needs to be done there. If we know how the tissue differs we could determine what modality works best." When considering adjunct modalities, Russo finds ABUS "particularly favorable," not only for patients with dense breasts but also for those with dense breasts and numerous cysts. With ABUS, he says radiologists can disregard masses that are uncomplicated cysts and focus on indeterminate or suspicious masses. In addition, ABUS is good for use in patients seeking to avoid ionizing radiation exposure or in patients who cannot undergo breast MRI. "ABUS allows radiologists to more specifically see through the dense breast tissue," he says. "Even 3D mammography cannot definitively differentiate solid from cystic masses. It is for this reason that ABUS has shown an up to 50% increase in cancer detection when used in combination with conventional mammography." Morris turns to handheld ultrasound for adjunct screening at Memorial Sloan Kettering, as opposed to ABUS. Regardless of the type of ultrasound, she worries about false positives. "With ultrasound, you may have to perform a lot of biopsies to find a few cancers," she says. For her practice, Women's Digital Imaging in Ridgewood, New Jersey, founder Lisa Weinstock, MD, has used low-dose tomosynthesis for breast screening for a year, and finds the technology quite useful in finding cancers. That aside, she calls herself a "big advocate" of ultrasound. In fact, her protocol calls for women with dense breasts to undergo yearly mammograms with ultrasound scheduled for six months after the mammogram in order to catch the more aggressive interval cancers. "That serves as a checkpoint for screening between mammograms," she says. "Patients would rather split up their mammogram and ultrasound and come in two times a year instead of putting all their eggs in one basket once a year." Weinstock does incorporate MRI and molecular imaging (breast-specific gamma imaging) for high-risk patients. The low-risk patients with dense tissue receive ultrasound. Her practice includes both handheld ultrasound and ABUS. Weinstock says she makes a determination on which modality to use dependent on the patient. With a private practice such as hers, she can make that decision, due to her smaller volume of patients. "My goal is to give patients an individual workup based on risk assessment and breast density, and due to our low volume, we are able to expedite their results," she says. Debra Monticciolo, MD, FACR, section chief of breast imaging at Baylor Scott & White Health in Temple, Texas, and chair of the ACR Commission on Breast Imaging, agrees that the conversation about dense breasts is good, but believes that the elevated risk for breast cancer in women with dense breasts has been overstated. "The topic of dense breasts is good for starting the conversation about risk, but a woman's risk of breast cancer is not just based on breast density," Monticciolo says. "The risk is not as high without considering all risk factors." Like Conant, Monticciolo says that tomosynthesis helps unmask the effects of dense breast tissue, but with reimbursement "in flux," imaging centers may only use modalities that are covered. While it's not experimental, tomosynthesis is still a relatively new modality and more data would help its acceptance rate among payers. "Tomosynthesis has shown that it has benefits," Monticciolo says. "We have reduced recall rates with tomosynthesis, but we're doing extra views on each patient. One has to be mindful of radiation dose." When considering ultrasound, Monticciolo points to the false-positive rate as a factor that causes breast imagers to think twice about using that modality. And, where MRI has the best capability to find breast cancers and is particularly useful with high-risk patients, it comes with cost considerations. "Breast imagers need to weigh the benefits of all adjunct modalities when planning a patient's course of action," she says. While secondary screening in women with dense breasts is often seen as a choice between MRI or ultrasound, molecular breast imaging (MBI) performed with systems such as Gamma Medica's LumaGEM or Dilon Diagnostics' 6800 systems is another option for secondary screening and diagnosis in women with dense breasts. These systems use Technetium (99mTc) sestamibi and gamma cameras scaled to image the breast in a functional imaging approach to cancer detection. Studies have demonstrated high levels of specificity regardless of breast density. Advocates often suggest MBI for women at low or normal risk of breast cancer and MRI secondary exam to women at higher risk. MBI systems do expose the patients to ionizing radiation, but newer equipment has reduced that dose, and some doctors think the risk is small and worthwhile, considering the systems' ability to help create a clear diagnosis with a low false-positive rate. Robin Shermis, MD, MPH, medical director of ProMedica Breast Care in Toledo, Ohio and editorial advisory board member of Radiology Today, believes radiation dose with MBI is not an issue for undue concern. "The old higher radiation dose and lower resolution of scintimammography in the past seem to have eliminated this option to many breast imagers," Shermis said in a 2014 interview. "The new low dose and imaging capabilities of MBI have completely changed the picture. We need to educate doctors and the public as to the true nature of radiation exposure with MBI. The worries of the past are just not justified." Another newer option on the horizon is abbreviated MRI. While in its early stages, Conant says that abbreviated MRI could address some of the standard MRI concerns, and prove a viable alternative to ultrasound and its potential false positives. Researchers are investigating whether images gathered with an abbreviated protocol—such as one pre- and one postcontrast acquisition—are sufficient for breast MRI screening. 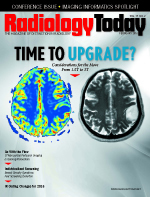 "Abbreviated MRI could be a fast study with fewer sequences and a reduced cost," Conant says. "We're looking at how many sequences are necessary to see cancers. This is a work in progress." As discussions continue regarding the "what next" in dense breast screening, Russo notes that there has been a 35% reduction in breast cancer mortality since initiating screening mammography. This is due largely to finding clinically significant masses before they become metastatic lesions. With further developments in dense breast technologies, there's a chance of surpassing that percentage plateau. "Screening women, specifically with dense breasts, is becoming more complicated," he says. "However, it is becoming more complicated for a good reason. We now need to use various tools to screen different types of patients based on their risk factors and density."